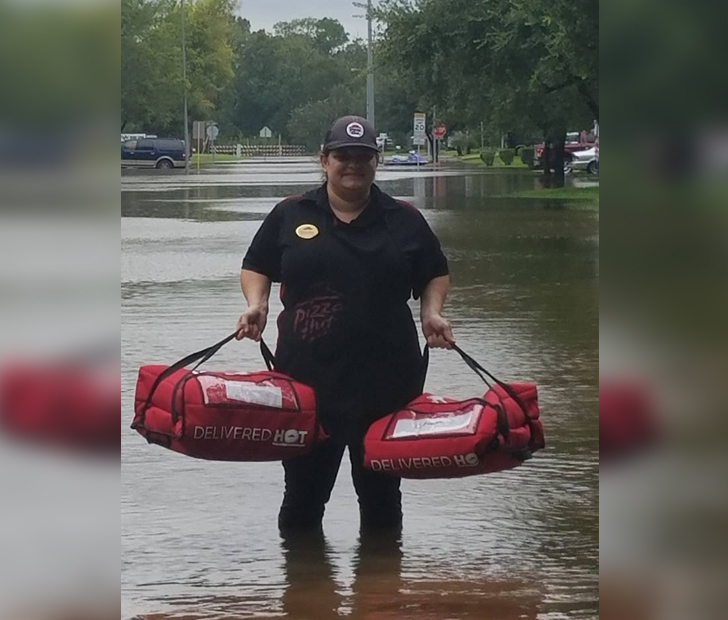 After Hurricane Harvey hit Texas last week, the Pizza Hut in West Houston decided to help out the families who were still trapped in their flooded communities and homes, hungry and with no way to evacuate and get food. The six employees and manager of that certain Pizza Hut had the genius idea to deliver the hot pies by kayak, because the roads were flooded so badly there was no way a car could be driven. 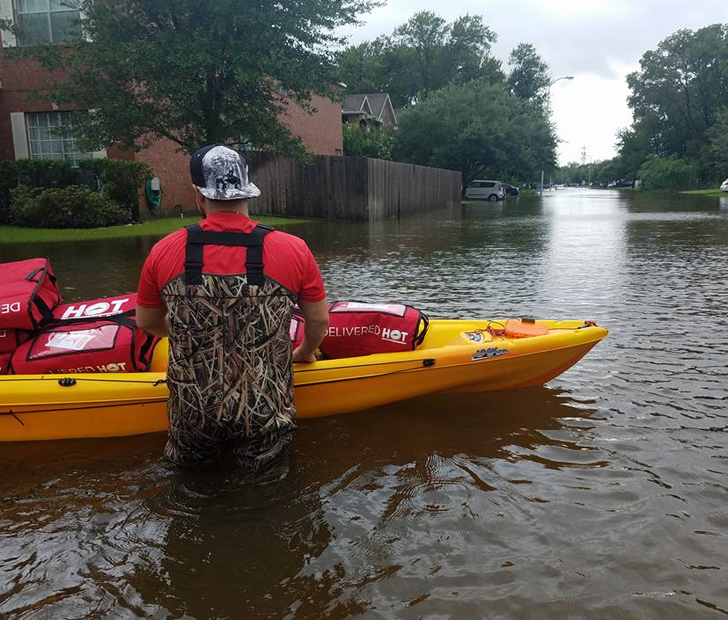 “We packed 120 pizzas into kayaks and took them out to people in their homes … The people in the houses didn’t expect us to come. It was so nice to see their smiles after so much gloom,” said Shayda Habib, the manager. Habib stated she was going to keep delivering pizzas until the store runs out. CNN has confirmed the deaths of 40 people in Harvey’s aftermath. The stories have been absolutely heartbreaking. Sergeant Steve Perez, a 34-year veteran of the Houston Police department, drowned in his patrol car driving to work on Sunday morning. The latest victim was 61-year-old Clementine Thomas, who died due to floodwaters in Newton County. Prayers go out to all victims of Tropical Storm Harvey, and to everyone who is still struggling to survive the wake of the hurricane. What do you think of this act of kindness? Comment below and don’t forget to SHARE to Facebook!